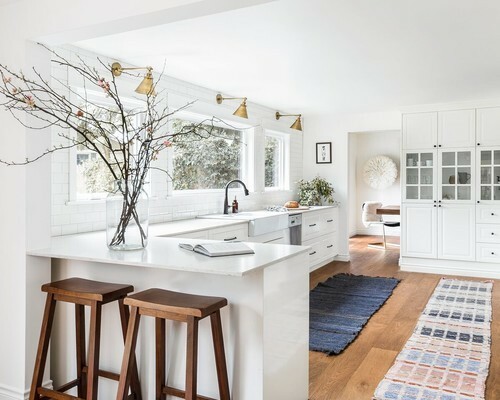 A kitchen rug looks so cozy in shelter magazines, whether it’s a faded Oriental in the breakfast nook or a punchy striped runner along the edge of an island. But as with most fantasy homes that we spy on Instagram, there’s more to the story. 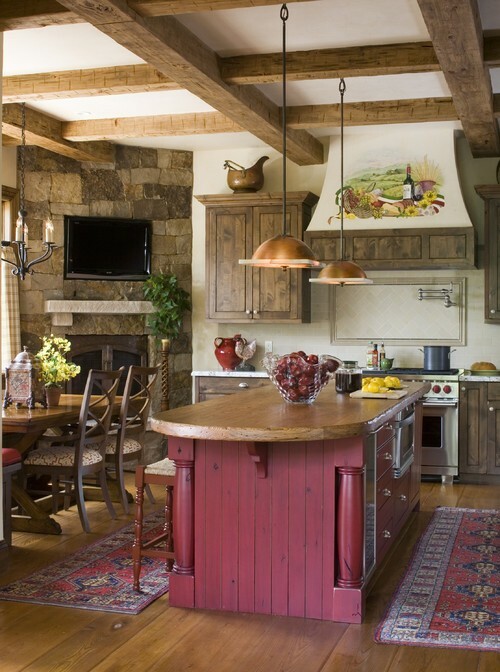 A rug in the kitchen sparks a heated debate in the design world, with some pros despising the look as gross and smelly, while others embrace the idea because it adds warmth and color to an otherwise cold, hard space. Not sure where you stand? Here are both sides of this argument, plus what you should know if you plan to lay down a rug in the kitchen. If you’re at the stove for an hour stirring risotto, you’ll certainly appreciate a soft rug underfoot. 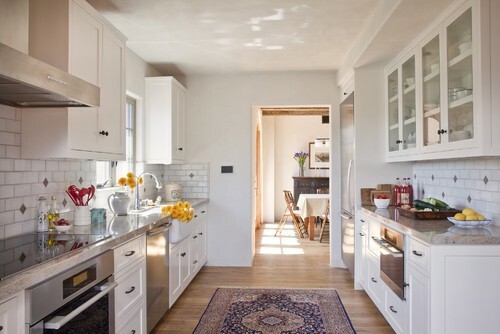 Jamie Novak, an organizing pro and author of “Keep This Toss That,” prefers a runner-style rug along the counter by the sink, which is where she stands the longest—and drops the most stuff. “This rug is soft and my tile floor is hard and cold on the feet, plus I’ve avoided breaking many items that would have shattered for sure,” she says. Darla DeMorrow, author of “Organizing Your Home with SORT and SUCCEED,” is a hard no when it comes to carpet where she cooks. “They look pretty in magazines, but they can be really impossible to keep clean,” she explains. 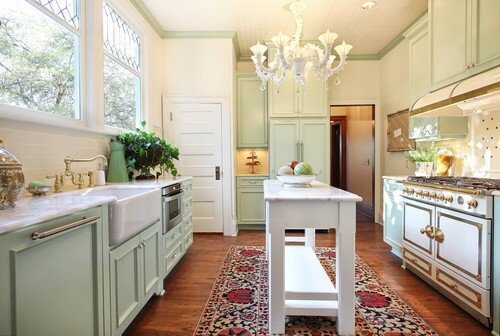 And if you’re selling anytime soon, you’ll want to nix the kitchen rug idea right away. Karen Gray-Plaisted of Design Solutions KGP always tells her clients to remove kitchen rugs when they’re putting their houses on the market. You want to project a streamlined, clean look—every time, in every room. Bright appliances may be trending, but not everyone wants a tomato-red refrigerator. 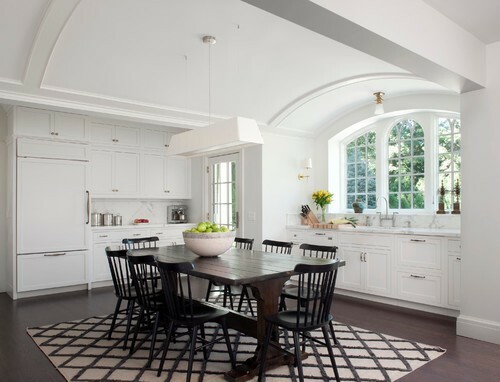 Since most kitchens feature stainless steel and other muted shades that match cabinets, a rug in this room can be a welcome addition of color. “Kitchens have a lot of smooth surfaces, so it’s nice to introduce a texture to break it up,” says Drew Henry of Design Dudes. You can also add texture with a nubbly, braided rug or one made from hemp or jute. Rugs slide around. Plus your dog might “dig a hole” in this carpet and leave it in a potentially dangerous, curled-up mess. To fix this slippery situation, the pros recommend a gripper-style pad that’s trimmed to fit. “It’s better to add a pad rather than pick a rug with backing attached, because it’ll start to come apart in pieces the more you wash and dry it,” says DeMorrow. 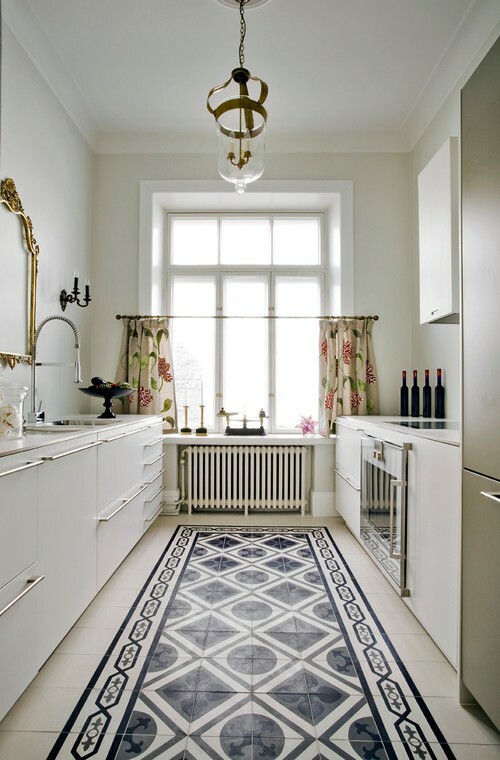 Though many feel kitchen rugs end up stained with tomato sauce and sticky with juice, there are a few experts who think having one can actually keep a kitchen cleaner. “Crumbs and debris that get tracked onto the carpet will usually stay there, and then I can shake them out or vacuum it all up,” says Novak. Photo by CBI Design Professionals, Inc.
Yup, if you make salmon every week, there’s a good chance your rug will pick up this fishy odor. Regular cleaning can help, but spills and drips in the rug’s fibers can lead to embedded odors over time. 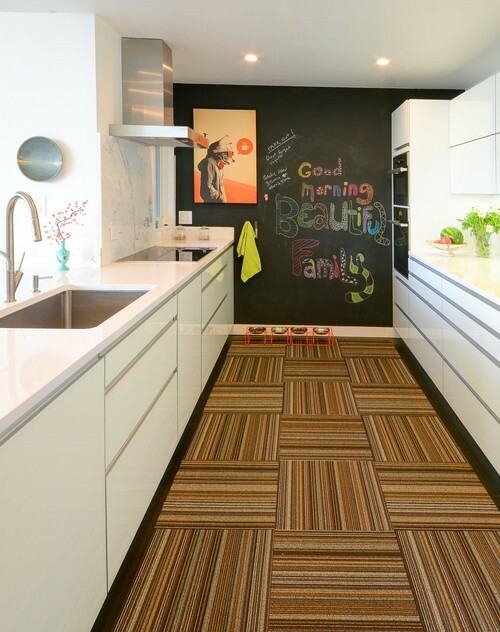 If you’re in the no-rug camp, you don’t have to give up on the dream of color and fun visuals in your kitchen. A painted floor (stripes, checkerboard) or a tiled design are two ways to pump up your decor while keeping the space rug-free. And if you have a window, hang up bright curtains for another hit of color and texture. Look for easy-to-clean carpet pieces like the ones at Flor (from $8, flor.com) or wipe-clean or washable fabrics. “But don’t overspend on this piece as you’ll likely be replacing it more often than other rugs in the house,” warns Henry. Nix light colors, and pick a low-pile rug with a tight weave. Or check out cushiony GelPro mats (from $38, Amazon.com) made from vinyl and polyvinyl chloride, or PVC, which can be rinsed and cleaned easily. “Restaurant kitchens don’t have rugs, but if you must have one at home, this mat is a good possibility,” says Gray-Plaisted.